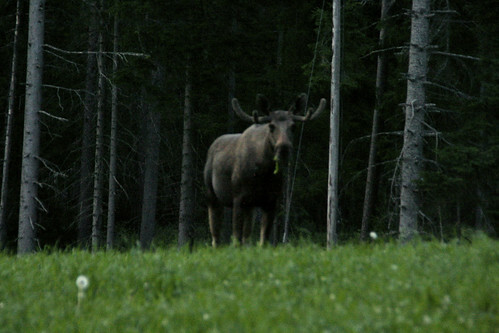 The Elk we saw last night, originally uploaded by Jonathan Morgan. 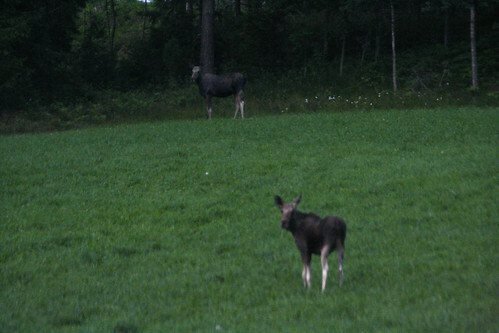 On our way home from Jönkoping last night, we passed a field where there were four elks grazing. We decided to take a closer look, so drove up onto the field, expecting them to be gone by the time we got there. Fortunately they were still there and we sat and watched them for 15 minutes!